Shabbychick Junk. : Fashionably Late to the Party! Lisa, I love all of your cards!! They are Fantastic! 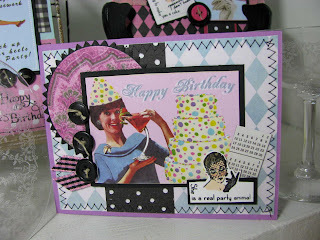 Love how you used the martini glasses on all of them and the many layers and the fun bright colors too! Sounds like you had a fabulous weekend!! It was well worth the wait girlfriend!! 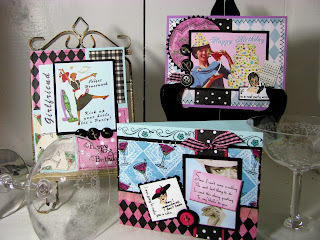 Love your cards, great designs and love the paper choices, as always! Cute cards Sweets!!!! Sounds like you had a blast! What great set of cards Lisa. 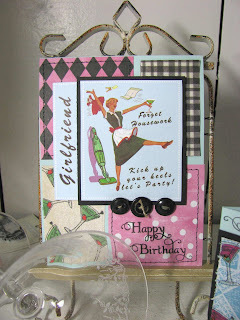 As always you have a knack for combining lots of elements to make your wonderful cards. I was waiting to see what you would come up with ... and it was well worth the wait!! These are fantastic and what inspiration you had!! Glad you had a good time ... everyone needs a break here & there!! You ladies have certainly ALL outdone yourselves on this challenge ... I've loves all the inspiration! Thanks! Maybe late but always fashionable! What fun creations! Your cards are all fabulous! 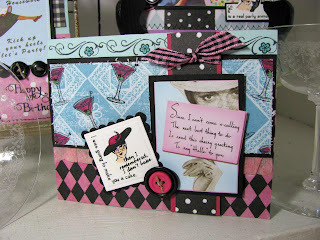 Love the martini theme and your colors! !